It's easy to miss the fast travel feature of Red Dead Redemption 2, but this guide will show you how easily unlock it. There's a huge world to explore in Red Dead Redemption 2, but navigating the wilds can be pretty time consuming. In our Red Dead Redemption 2 fast travel guide, we'll be explaining how to unlock fast travel in Red Dead Redemption 2, through using one simple trick back in your camp. If you instead need help with any other areas of the big western game, head over to our Red Dead Redemption 2 guides hub. Here you can find all the tips, tricks, and beginner’s information you need for Rockstar’s new game. Can You Fast Travel Directly From the Red Dead Redemption 2 Map? In the early stages of Red Dead Redemption 2 you might be wondering if fast travel is even an option. You'll do a lot of long distance riding and you might well be wishing for a way to skip some of that. Sadly you can't skip the early travel, but you can unlock fast travel a little later in the game. 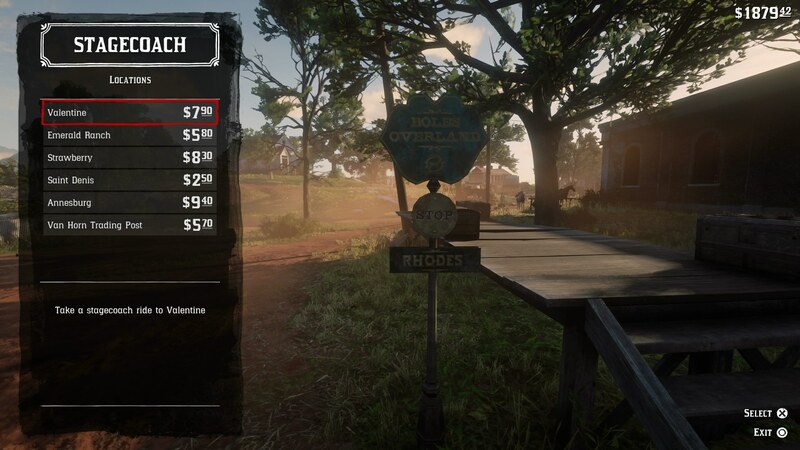 If you’ve played the original Red Dead Redemption, then the fast travel options in Red Dead Redemption 2 will be pretty familiar to you. You have three options for fast travel in Red Dead Redemption 2: Via stagecoach, via rail, or via camp. The following guide will tell you how to unlock each way to fast travel in Red Dead Redemption 2. To travel by rail, you only need to find a post office, where you can purchase train tickets. 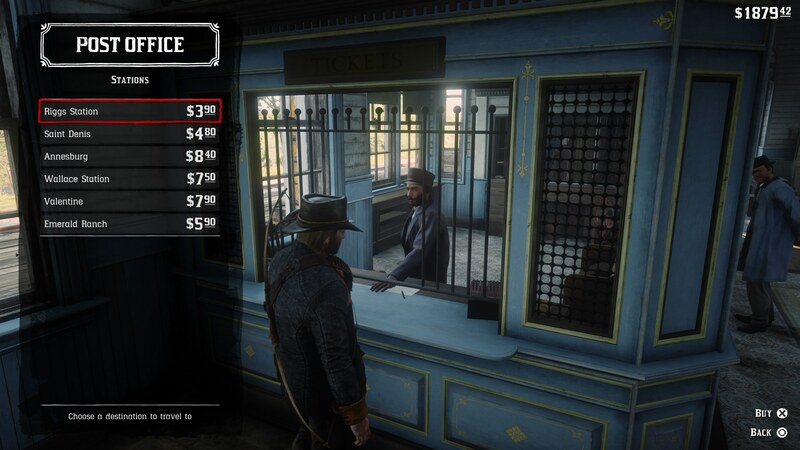 You can purchase a train ticket to any train station in the game, but you need to have already visited it to fast travel to it via this method. As for stagecoaches, you’ve got a lot more freedom. 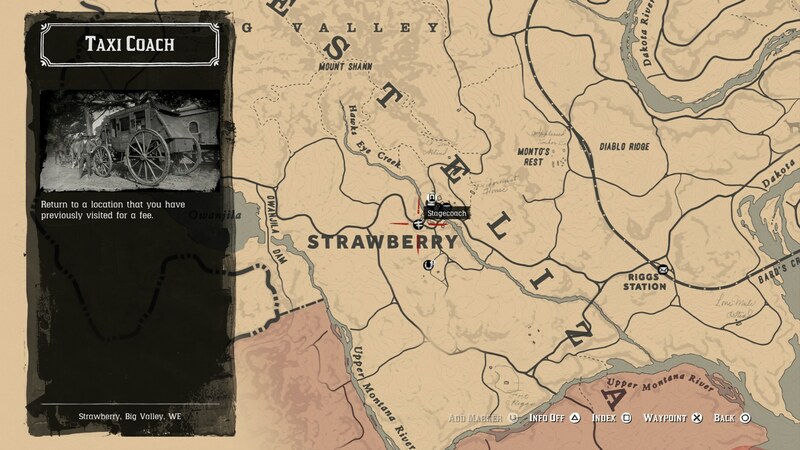 Head to the stagecoach marker on the map and interact with the sign, and you can immediately be transported to any city, town, or village that you’ve already visited. Prices will obviously vary for the distance that you’re travelling, with both stagecoaches and rail. But, there's actually a third, sort of secret way to fast travel in Red Dead Redemption 2. To unlock the ability to fast travel from your camp, you firstly need to purchase the upgrade for Dutch's lodgings from the ledger, which costs $220. After you've upgraded Dutch's tent, you can purchase a map upgrade from the ledger, for $325. Once you've done this, a map will appear somewhere in your camp, and if you use this map, you can fast travel to any town, straight from your camp. If you're wondering if you can access Red Dead Redemption 2's fast travel mechanic from the in-game map, well, sadly you can't. To fast travel in Red Dead Redemption 2 you must first unlock the system by finding one of the locations mentioned above. Even then, you can only use the fast travel system to head to locations you've already visited. We might now be all done with our Red Dead Redemption 2 guide on how to fast travel, but there’s plenty more guides on Rockstar’s game here at USgamer. You can now check out our Red Dead Redemption 2 map guide, or our Red Dead Redemption 2 Morality guide, for more information on either area.